Relaxing while having a cup of tea is always bringing a wonderful memory with us. This is what makes tea is special for everyone. However, tea is usually causing a problem with your sleep time. Tea contains what we know as caffeine. This caffeine will resist you mind to give your body a rest. You generally found yourself unable to sleep after drinking the tea. But it is all the opposite with Yogi Bedtime Tea. This tea will give you an excellent night sleep after consuming it. 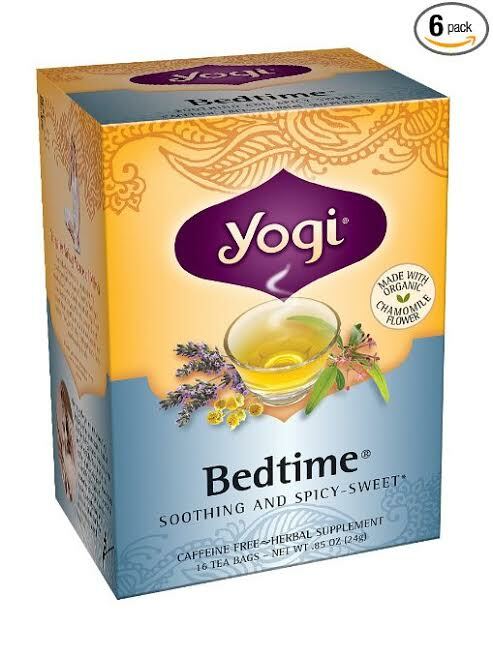 Yogi Bedtime Tea is like the brand’s name, functioning like milk which can make you get a restful night’ sleep. Yogi Bedtime Tea offers you a tea which is caffeine free; no caffeine means you can drink this tea every time you want, so no limitation time for this tea. Is it so? If you want to know more about Yogi Bedtime Tea, let’s see the explanation below. The first thing that we must know is its ingredients. Yogi Bedtime Tea is having a couple of unusual ingredients. The amount of ingredients that it uses are massive considering that this tea is usually very simple. There are a couple of interesting ingredients like Chamomile Flower, Spearmint Leaf, or Licorice Root. The Chamomile Flower works as a mild relaxant which gives you a balanced mood. The Spearmint Leaf is working in clearing and relaxing your senses. And the Licorice Root soothes the throat and relieves indigestion problem. Other ingredients also have very similar functions. These functions are all related to the mood, senses, and awareness control. The addition of indigestion ability also makes this tea quite enjoyable to be used. Yogi Bedtime Tea is working like a relaxant for our body. It makes us relax more which is why this tea is best used before getting into bed. You don’t want to slack off when working because of using this tea. Yogi Bedtime Tea is not an energy tea which is why you better not to use it while working. The no-caffeine use is making this tea favorite among the tea lovers. Many people love to get a cup of tea before they sleep, but because tea contains caffeine, they can’t do consume it. That’s why when Yogi Bedtime Tea comes out, many tea lovers are very satisfied with its performance. The taste itself is not very sweet as it doesn’t use any artificial sweetener. This tea is best used for people who have insomnia and the hardness to sleep. You will feel very relax and wake up in best possible shape for your daily activities. Yogi Bedtime Tea is a fantastic tea relaxing product. It takes the opposite purpose from the usual tea. For you who wants to get a good sleep or to cure insomnia, Yogi Bedtime Tea is your answer. It is also a promising product for the tea lovers because now you can consume tea even before you sleep. Check the best price for Yogi Bedtime Tea here!